Cryptopay FAQ: how to buy bitcoins? what is crypto card? etc - How do I pay for my C.Pay card? All Categories › C.Pay Prepaid Card › How do I pay for my C.Pay card? There are two ways you can pay for the card: using the balance of your Cryptopay account or using a BTC transfer. We plan to add an option to pay with a bank card shortly. To pay using the Cryptopay wallet balance, please choose the account you would like to use. 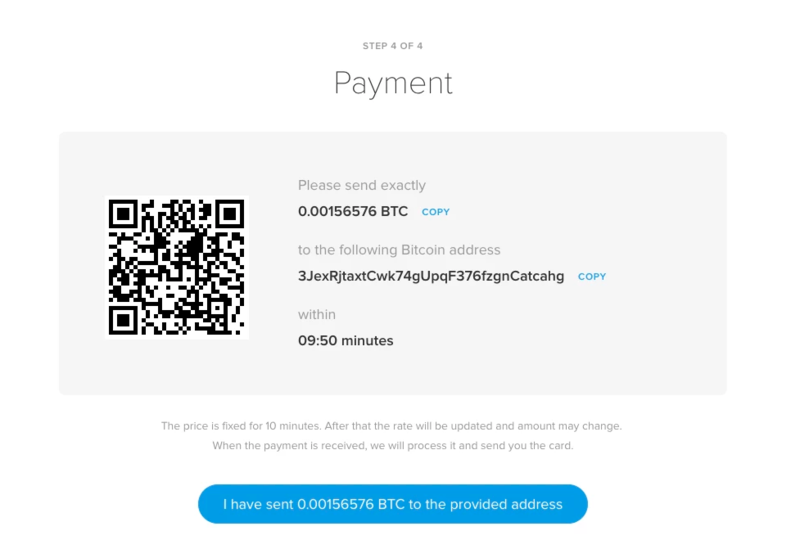 If you've decided to go with Bitcoin transfer, you will need to send the required amount to a BTC address provided.